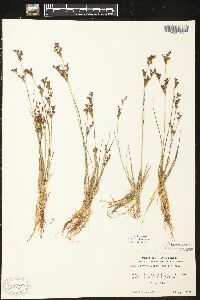 Herbs, perennial, cespitose, 1.4--5.5(--7) dm. 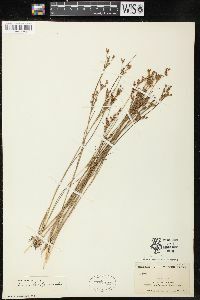 Culms erect, terete, 1--3 mm diam., smooth. 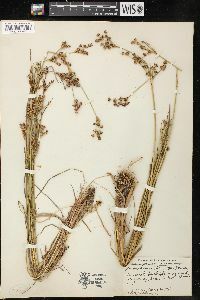 Cataphylls 0--1, straw-colored to pink, apex acute. 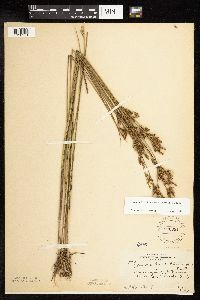 Leaves: basal 1--3, cauline 1--2; auricles 0.5--3 mm, apex rounded to truncate, scarious; blade terete, 1.5--25 cm x 0.5--2.5 mm. 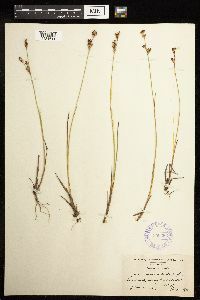 Inflorescences terminal panicles or racemes of 2--35 heads, 1--12 cm, branches erect; primary bract erect; heads 2--8-flowered, ellipsoid to narrowly obconic, 2--9 mm diam. 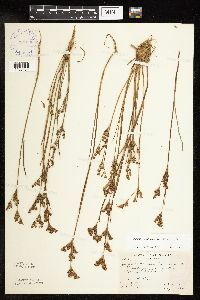 Flowers: tepals green to light brown, lanceolate; outer tepals 2.3--3.1 mm, apex acuminate to rarely obtuse; inner tepals 2.5--3.2 mm, apex acuminate; stamens 3 (or 6), anthers 1/4--1/2 filament length. 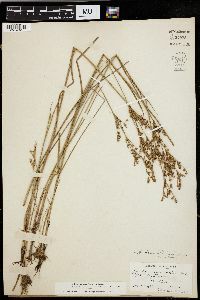 Capsules exserted, chestnut brown, imperfectly 3-locular, narrowly ellipsoid to prismatic, 3.2--4.8 mm, apex acute proximal to beak, valves separating at dehiscence. 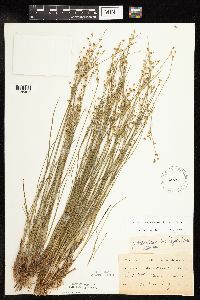 Seeds fusiform, 0.7--1.2 mm, tailed; body covered with whitish translucent veil. 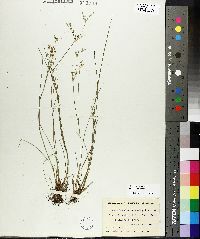 2n = 80. 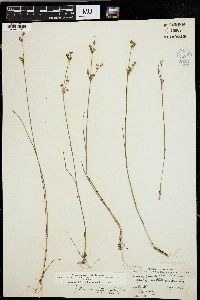 Fruiting mid summer--fall. 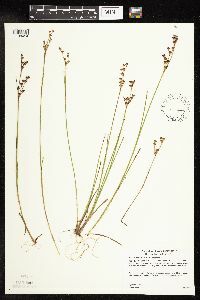 Generally in acidic or peaty moist sites, including emergent shorelines and aroundg hot springs; 100--2500 m; Alta., B.C., Man., N.B., Nfld. 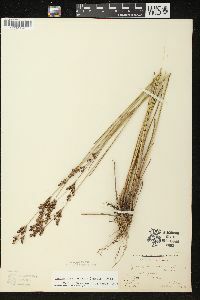 and Labr., N.S., Ont., P.E.I., Que., Sask. 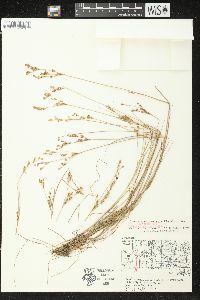 ; Ariz., Colo., Conn., Maine, Md., Mass., Mich., Minn., Mont., N.H., N.Y., N.C., Oreg., Pa., R.I., Tenn., Utah, Vt., Va., W.Va., Wis., Wyo. 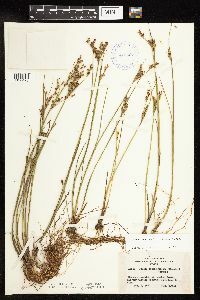 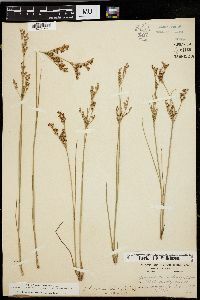 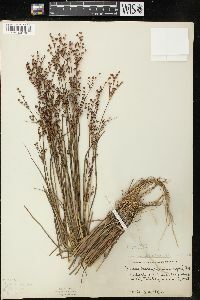 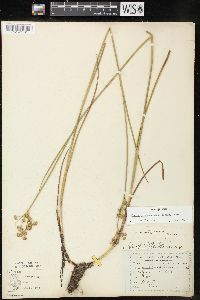 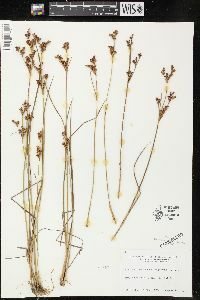 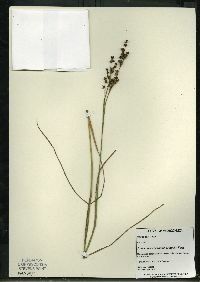 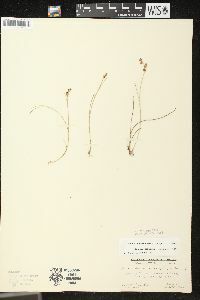 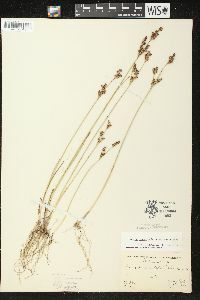 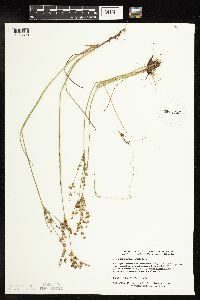 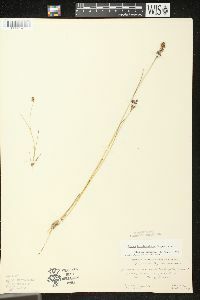 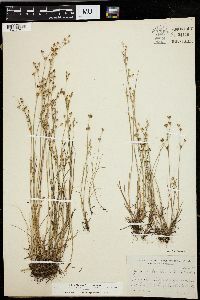 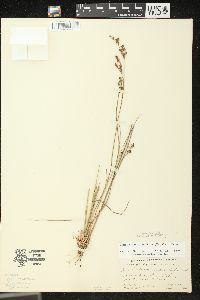 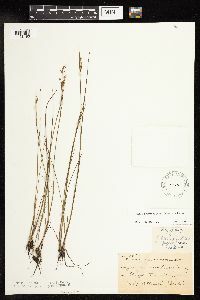 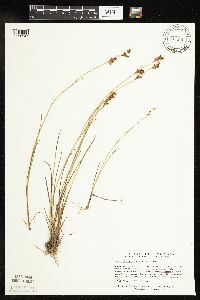 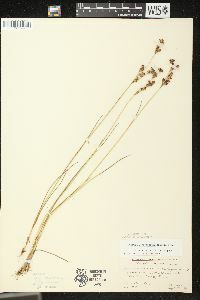 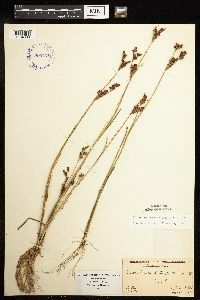 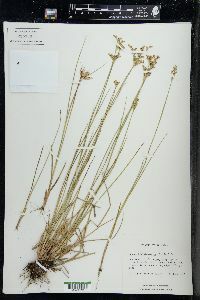 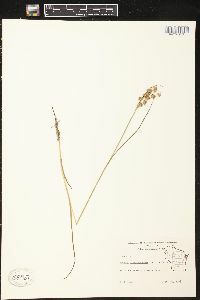 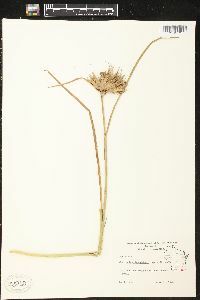 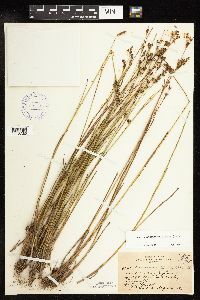 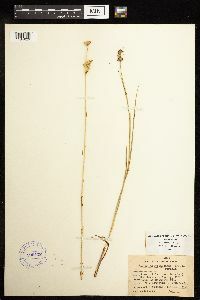 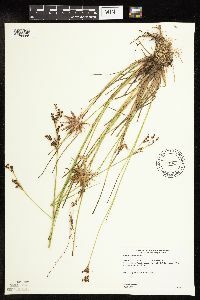 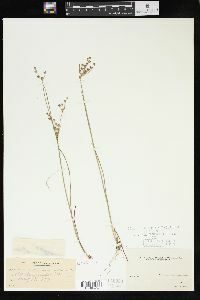 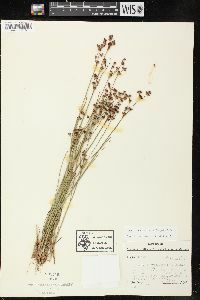 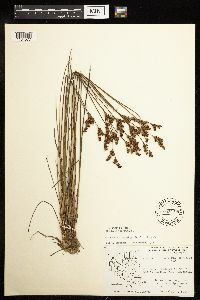 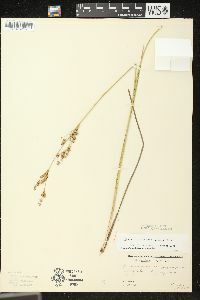 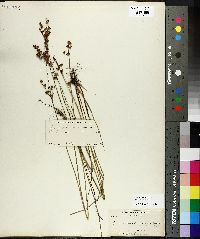 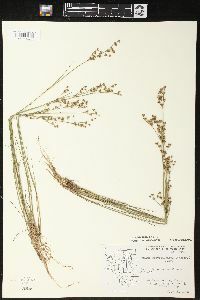 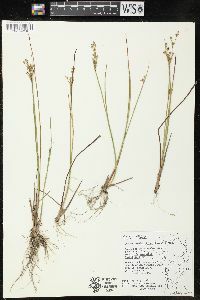 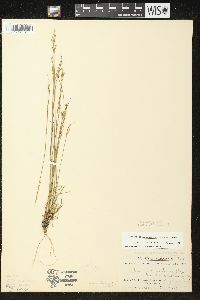 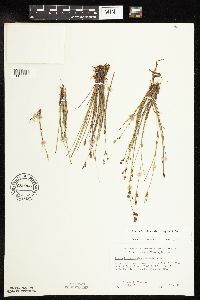 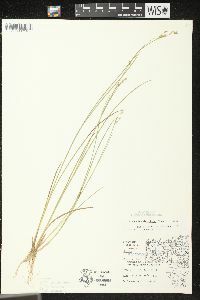 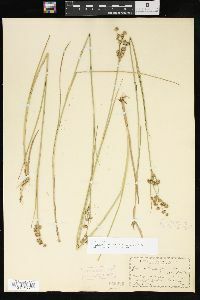 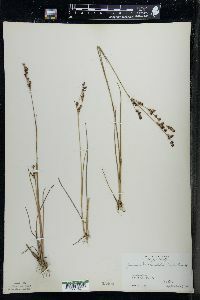 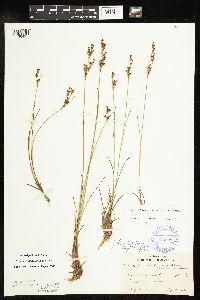 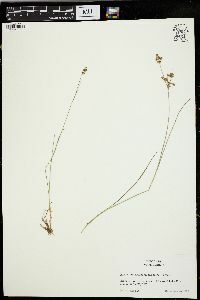 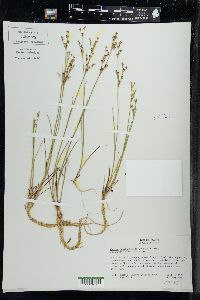 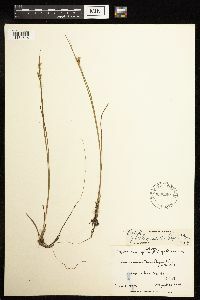 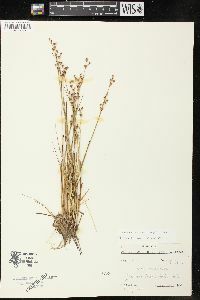 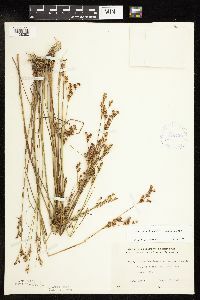 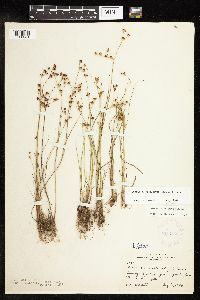 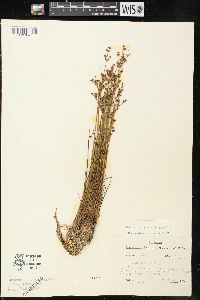 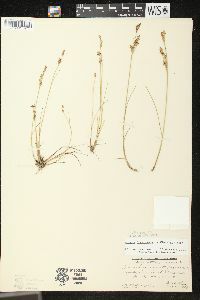 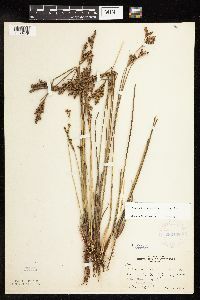 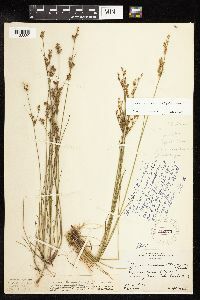 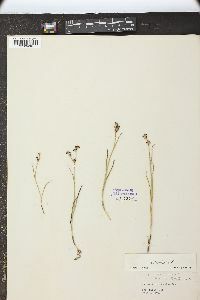 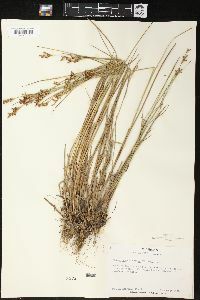 Populations from about around hot springs in the west have been separated as Juncus tweedyi Rydberg, but no morphologic distinction appears to exist between J. tweedyi and J. brevicaudatus. 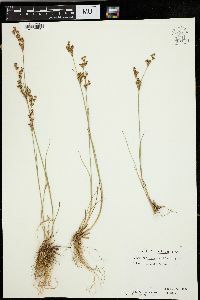 Stems slender, densely cespitose, 1-5 dm; lvs erect, terete, septate, 1-2 mm thick; infl strict, 3-12 cm, 3-6 times as long as wide, with few-many erect or ascending branches and few-many 2-7-fld heads; fls eprophyllate; tep lance-subulate, 3-nerved, the sep 2.3-3.9 mm, the pet 2.6-3.2 mm; stamens 3 or sometimes 6; fr trigonously prismatic, much exceeding the perianth, 3.5-4.8 mm, abruptly tapering to the very short beak or merely acute, unilocular, with narrow partial partitions; seeds fusiform, 0.8-1.2 mm, the body occupying three-fifths of the total length; 2n=80. 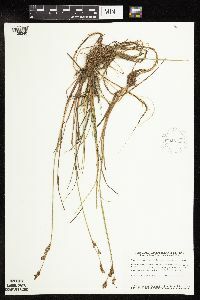 Marshes, wet meadows, and shores; Que. 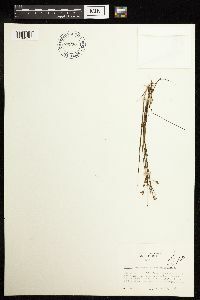 and N.S. 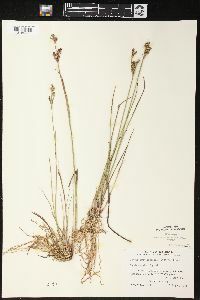 to w. Ont. 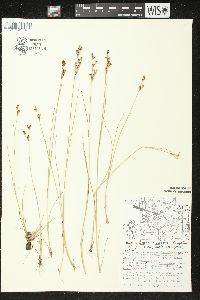 and Minn., s. to Mass. 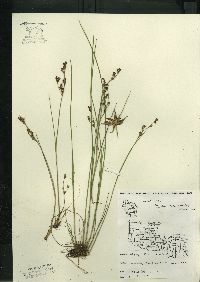 and N.Y., and in the mts. 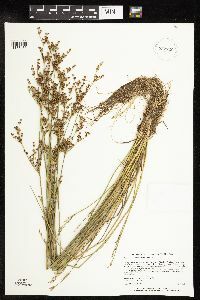 to N.C. and Tenn.